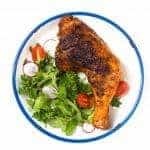 Put all marinade ingredients: achiote paste, kosher salt, lime juice, vinegar, olive oil, ground cumin, adobo sauce, honey, oregano, garlic, ground black pepper, orange juice in a mixing bowl. Rub the spices mixture marinade all over the chicken. Marinate in the refrigerator for at least 2 hours or overnight (to boost the flavor). Pre-heat a hot griddle to medium high and let it heat up for at least 10 minutes before you start cooking. Pre-heat oven to bake at 350 F.
Place the chicken on the hot griddle (positioning the meat skin-side down if the skin is intact) and cook for about 2 minutes or until grill marks show. 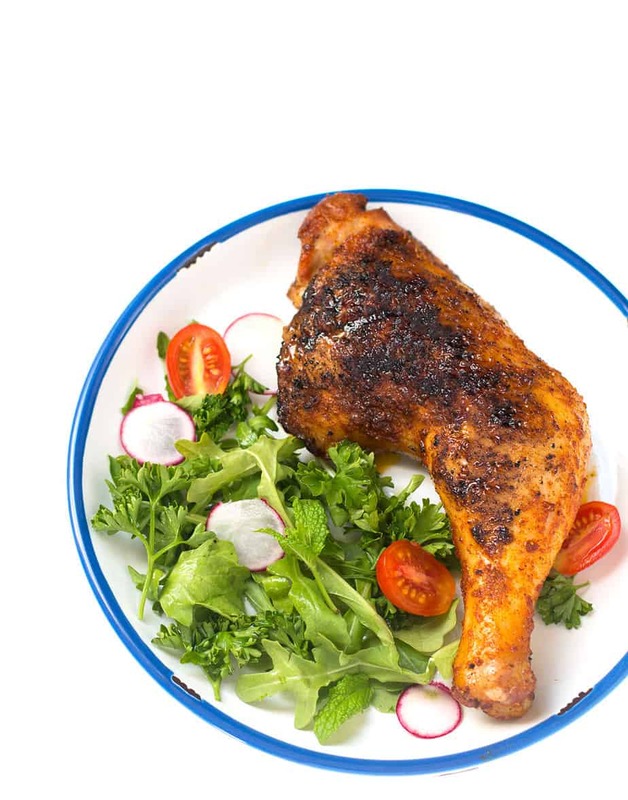 This oven roasted achiote chicken looks so delicious. 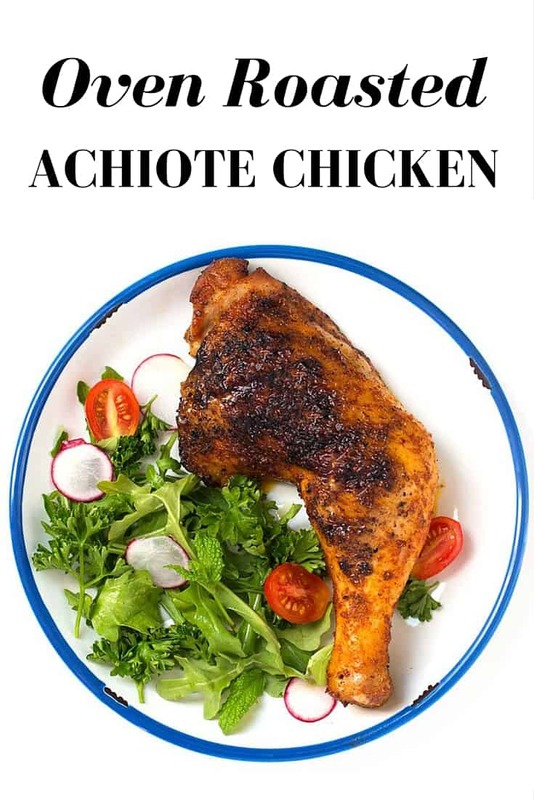 I have never heard of achiotes before so this will be an interesting recipe for me to try. It really does looks so good and I know my family will love it. Thanks for sharing this recipe. I was just putting together our next week’s meal plan and came across this recipe. Thank you! Now I have something to make for Wednesday! My family would love this. They love trying out new recipes. That sounds like a delicious meal idea. We love trying out new chicken dishes, so this will be on our menu soon. This looks so delicious! I’ve been looking for new recipes for my chicken dishes, and this sounds perfect especially for summer BBQs! This looks delicious. We eat chicken often and I’d love to change it up a bit – this would be a great recipe to try! Wow this chicken looks amazing. I will def be adding this to our menu this week. I love cooking chicken like that and I must try that recipe. I had to laugh because hubby walked by when I was looking at your pictures and he asked, “Is that for supper?” LOL Your pictures convinced him. Looks delicious! I usually cook my chicken this way but I’m always trying to find ways to put a spin on it. I’m glad I found your recipe because your marinade looks good. Yummy! We eat chicken at least every other week but this dish looks like it would be an interesting twist. Now I just have to find achiote… where the heck would I find that? This should be on my menu this week. It sounds delicous. And my kids love my chicken. This looks like a delicious dish to make for dinner one night. I love how yummy it appears in your photo! This looks so good. We all love chicken in this house. THis meal would be devoured. 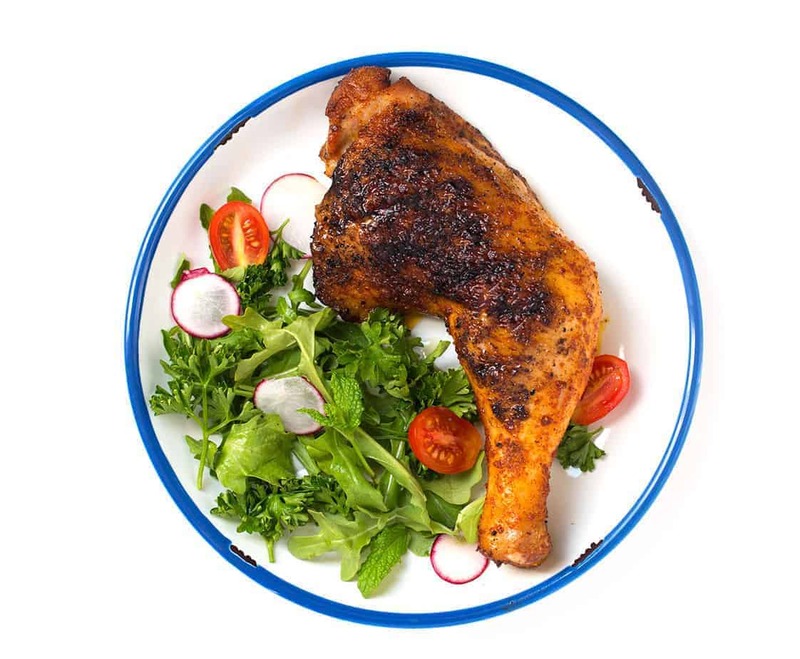 My kids all love chicken legs and it’s hard to find something they all like to eat!! This sounds like a great recipe for dinner! My oven roasted chicken never looks that good lol. This looks delicious. Oh my goodness, that chicken is making me hungry even though I only like white meat. I’ll have to try your recipe on some chicken breasts this week. That photo is phenomenal – I wanted to eat my computer screen! Kidding aside, I am going to try this recipe over the weekend when my parents come over – thanks! Amazing how many people have left a reply yet none of them have tried the recipe !!!! Mine is in the oven even as i write this.